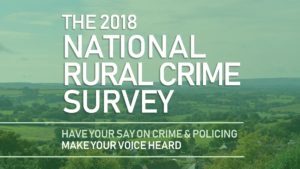 Early results from the National Crime Survey, published on Monday, show crime continues to be a significant area of concern for rural communities. The survey which was completed by 20,000 people across England, Wales and Northern Ireland, identified a significant reduction in the public perception of the police by rural communities that they were increasingly living with the fear of crime and the number of offences going unreported is a third higher than during the 2015 Survey. 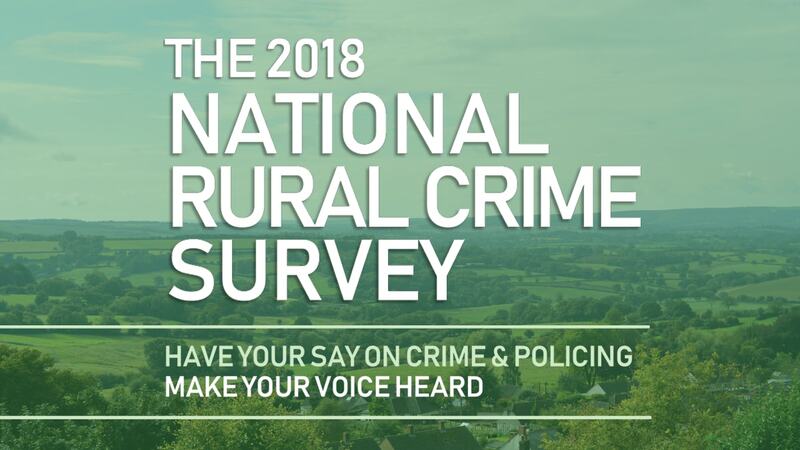 Roger Hirst, Police, Fire and Crime Commissioner for Essex, said:“Rural crime is a big problem and one, that as this survey shows, is getting increasingly important for those living in rural communities. Over three quarters of Essex is classified as rural and rural crime accounts for nearly a third of all crime reported in our county. In November last year Essex Police launched their new Rural Crime Strategy which was developed in close partnership with rural communities and relevant partner agencies, including a public consultation. This identified many of the same issues which have been reinforced through the national survey published on Monday and led to the development of a range of activities to tackle these priority areas. Problems such as fly-tipping which have been highlighted as national issues are also issues in Essex and are being combated through effective partnership working. Speeding is also a key area of concern in rural areas and is being reflected in an increased focus on rural speeding from the Safer Essex Roads Partnership and increased activity by Speed Watch volunteers and Officers. Mr Hirst added “We have worked hard with our rural communities to understand their issues and increase the resources available to tackle rural crime. Only 15 other forces (out of 53) in the UK have dedicated Rural Crime Teams and in November 2017 Essex Police formed the Gypsy, Traveller and Rural Engagement Team which is one of the largest dedicated rural teams in the country. “This team has worked closely with local communities and the Rural Crime Forum to develop and start implementing the Essex Police Rural Crime Strategy which picks up on the majority of the recommendations highlighted in this report and which was developed in close partnership with key stakeholders. Chief Inspector, Ian Gennery, who leads the rural team said: “Essex is a big rural county but only a quarter of the county’s population live there. We are putting more police officers in to communities to make a safe county even safer but this is a big challenge for policing and one our rural crime strategy looks to address. We now have specialist teams tackling rural crime and building awareness of enforcement action but also crime prevention. Crime in rural areas affects both businesses and people, meaning rural areas suffer domestic violence, drug offences and cybercrime as well as what we might think of as ‘traditional’ rural crime like fly-tipping and hare coursing. The Essex specific results from the Rural Crime Survey are due to be released within the next two weeks and will published at www.essex.pfcc.police.uk. These will provide a detailed picture of what matters to rural communities in our county.